Native Bird Care was founded by Elise Wolf in 2010, and is a 501c3 nonprofit organization. We are a completely volunteer organization with no paid staff. We receive no government funding and rely on donations. Please consider making a donation if you believe in the services we provide. Native Bird Care honors and celebrates the extraordinary beauty, ecological roles, and unique individuality of our avian neighbors. We offer specialized care and rehabilitation for shore, water, and songbirds, with the goal of releasing healthy, hearty, and sound individuals back to play their profound role in the Earth's ecology. Education, science, culture, and enjoyment grounds the human experience with birds and thus Native Bird Care emphasizes these functions in its capacity as advocates for our wild, flighted friends. Native Bird Care believes strongly that each type of bird needs unique care. Songbirds are cared for in most centers, but they too have specialized requirements. Each kind of songbird has a flight plan for the fall and their feathers must be in excellent condition for migration and surviving our winters here. Baby songbirds need feeding 12-16 hours a day, every 20 minutes to an hour depending on species and size. This kind of care requires that someone be present, dedicated, and attentive all day long. We have specialized training in the nutrition, housing, care, and treatment of these birds. Waterbirds are also challenging since they require water. Seems simple enough, except that the water has to be clean, which means that the water must be recirculated through filters. This way the birds are not swimming in dirty water, ruining their waterproofing and facing a future of hyopthermia. 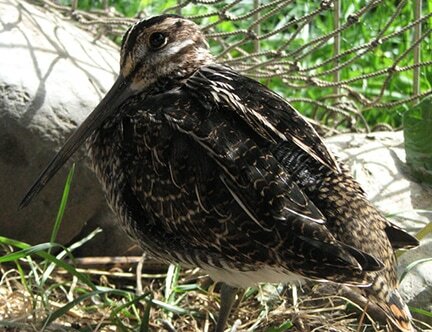 Shorebirds also need something other than the average care and housing. They are prone to feet and leg deformities, are easily stressed, and often fail in larger rehab centers. Native Bird Care believes it is the ethical obligation of wildlife rescuers and centers to provide the best possible care, housing, and nutrition to the animals whose lives depend entirely on us. That is just one of the many ethics rules that guides our care here at our center. We are always looking for people who might like to help, if you think you would like to get involved, send us an email. We'd love to hear from you.